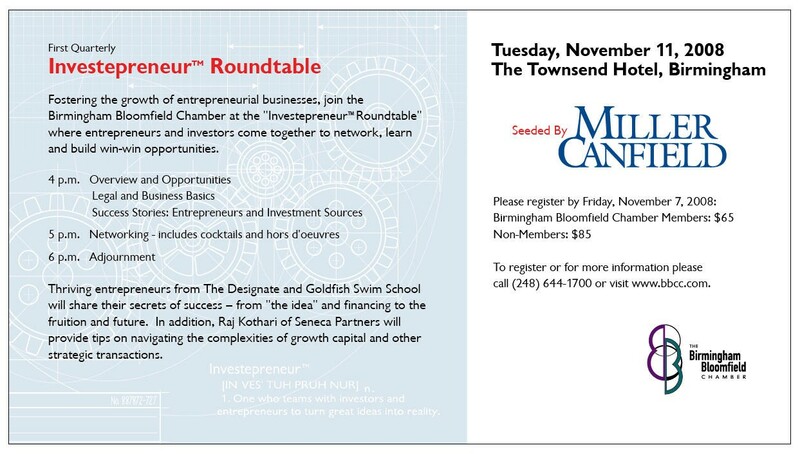 Please join the Birmingham Bloomfield Chamber at the "Investepreneur Roundtable" where entrepreneurs and investors come together to network, learn and build win-win opportunities. To register please call 248.644.1700. Please click on link below for complete details.